Winter Wonder Jam -- Cuyamaca College’s homegrown music fest put on by students in the Music Industry Studies program and featuring four local bands and musicians playing pop, rock and folk music – is set for 7-10 p.m. Friday, Dec. 12, in the performing arts theater. Open to the public, admission is $5 or a donation of three canned goods to the San Diego Food Bank. Ample free parking will be available at the college at 900 Rancho San Diego Parkway in Rancho San Diego. 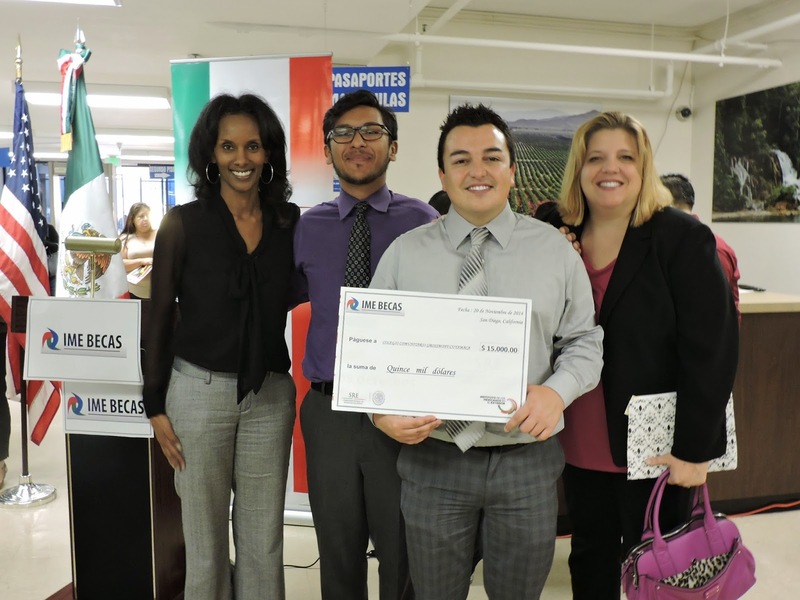 For the second year in a row, the Mexican Consulate has awarded $15,000 to the Grossmont-Cuyamaca Community College District that will be used to award scholarships to 15 Grossmont and Cuyamaca College students of Mexican descent. The Mexican government awarded the scholarship money to the East County colleges and four other education institutions in San Diego County – University of California San Diego, University of San Diego, Southwestern College, and Access. “We are interested in helping the Mexican population living in the United States have access to improve their education,” said Remedios Gomez Arnau, Mexican consul general in San Diego. John Valencia, the college district’s associate vice chancellor for advancement and communications, said the scholarships will be awarded for the spring 2015 semester to 10 Grossmont College students and 5 Cuyamaca College students. To be eligible for a $1,000 scholarship, a student must be of Mexican origin, have at least a 3.0 grade point average, and write a 500-word essay describing their Mexican heritage and the reasons why they should receive the scholarship. The Cuyamaca College-based San Diego Center for Economic Education will help update the financial literacy curriculum at high schools in the San Diego Unified School District under a new two-year, $161,533 grant. The Cuyamaca College center’s latest effort will help train 50 economics teachers at more than two dozen San Diego Unified high schools in the latest methods and theories in financial literacy. It also will pay for substitute teachers needed to cover for the economics instructors while they are undergoing training. Some 8,000 high school students will benefit from the training each year, according to San Diego Unified. “This is a huge responsibility and we are honored to partner with San Diego Unified School District in making sure that thousands of high school students will have the financial literacy education they need to make sound decisions in the future,” said Anthony Zambelli, a former economics professor who worked to have Cuyamaca College designated as the Center for Economic Education serving San Diego and Imperial counties and who is the center’s director. Registration has begun for winter session – or intersession – classes at Grossmont and Cuyamaca colleges that start Jan. 5. Registration has also begun for spring 2015 classes, which start Jan 26, 2015. The colleges will offer nearly 70 intersession classes between Jan. 5-24, about 20 more than a year ago, when the courses returned after a four-year hiatus due to severe budget cuts. Intersession classes, while intensive, are a quick way to earn up to three college credits in just three weeks. Most classes meet 31/2 hours a day, five days a week and others are offered online. They also provide a great way to get ahead by satisfying prerequisites. The classes are identical to regular semester-length classes and the units are transferable to most four-year universities, including San Diego State University and University of California, San Diego. At $46 a unit, California community college courses are an affordable way to obtain a college degree. Visit either college’s financial aid website for information on applying for financial aid. Apply online for Cuyamaca College or Grossmont College, and allow one or two business days for the application to be processed. Then go to https://wa.gcccd.edu to activate your student WebAdvisor account and register online for classes. Check out the Video Tutorial . 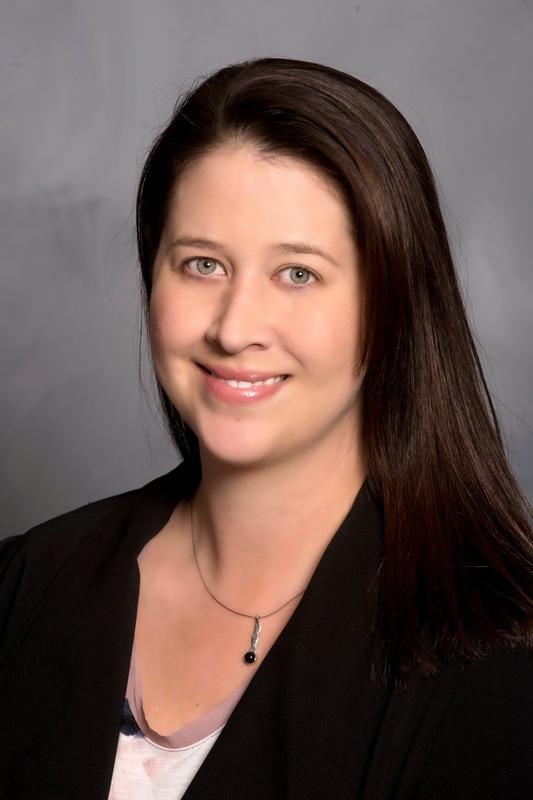 Nicole Conklin, the district’s new Campus and Parking Services (CAPS) director, describes herself as a “parking nerd,” having dealt with the many issues involved in parking since she was 16 years old. Her mother, an administrative assistant in the Parking Services office at Binghamton University in Binghamton, N.Y., told her about a part-time job writing parking tickets on campus and the then-high school sophomore jumped at the chance. She went on to receive her bachelor’s and a master’s degree in geography with an emphasis in urban planning from the university in upstate New York. Conklin now oversees the department at the Grossmont-Cuyamaca Community College District that provides parking enforcement and services including safety escorts, room unlocks/locks, and lost-and-found at Grossmont and Cuyamaca colleges. After more than eight years in the Navy, James Kenney had his sights on going back to school to study computer science. It didn’t take long for him to settle on Cuyamaca and Grossmont colleges. Kenney was among the dozens of veterans feted Nov. 13 at a free barbecue for veterans and active-duty students at the Water Conservation Garden at the Cuyamaca College campus. The event was funded by the El Cajon Elks Lodge and co-hosted by Cuyamaca College. Tim Corcoran, a leader in the Grossmont-Cuyamaca Community College District’s human resources department since 2010, has been named vice chancellor of human resources following a nationwide search. Corcoran joined the East County college district four years ago as the director of employee and labor relations, and was promoted to associate vice chancellor of human resources in January 2012. He twice served as interim vice chancellor during leadership transitions, and the skill he ably demonstrated during those times made him the best candidate for the top-level post, Chancellor Cindy L. Miles said. 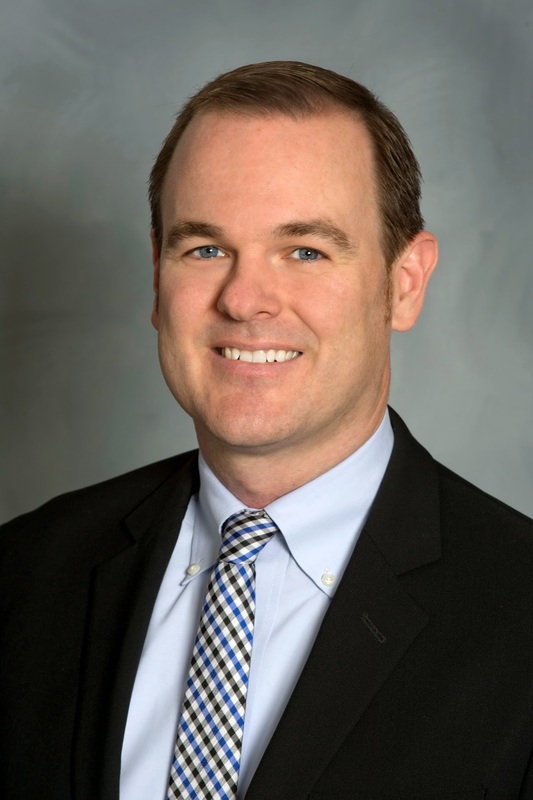 “Consistently, Tim displays his talents for thoughtful leadership and problem-solving in negotiation processes with employee groups and in individual relations with employees,” Miles said. She noted that his acumen with collective- bargaining negotiations played a big part in the recent contract agreements signed for the first time in several years by all three of the district’s employee unions. Both came to Cuyamaca College after long careers in other fields. Both have become invaluable, behind-the-scenes employees who are making sure that operations at the 9,000-student East County campus run smoothly. And both Michael Erickson and Corina Trevino have been honored with the Cuyamaca Way Award, which honors students, faculty or staff who best exemplifies the values of Cuyamaca College. They join an exclusive club. Just two dozen people have been honored with the award. “Michael and Corina have each stepped up on multiple occasions to take on additional responsibilities. The can-do attitude they exhibit is the kind of service that students, staff, and the community have come to expect at Cuyamaca College. 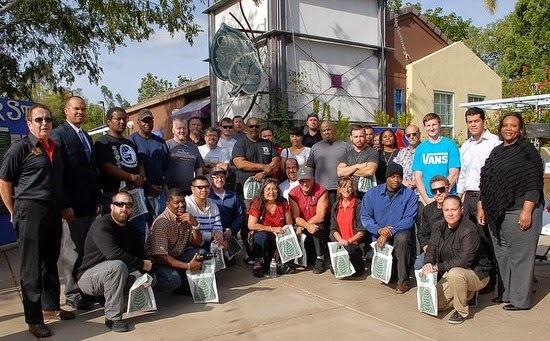 They are valued members of our team,” said Cuyamaca College President Mark Zacovic. Trevino says she wouldn’t want to work anywhere else. 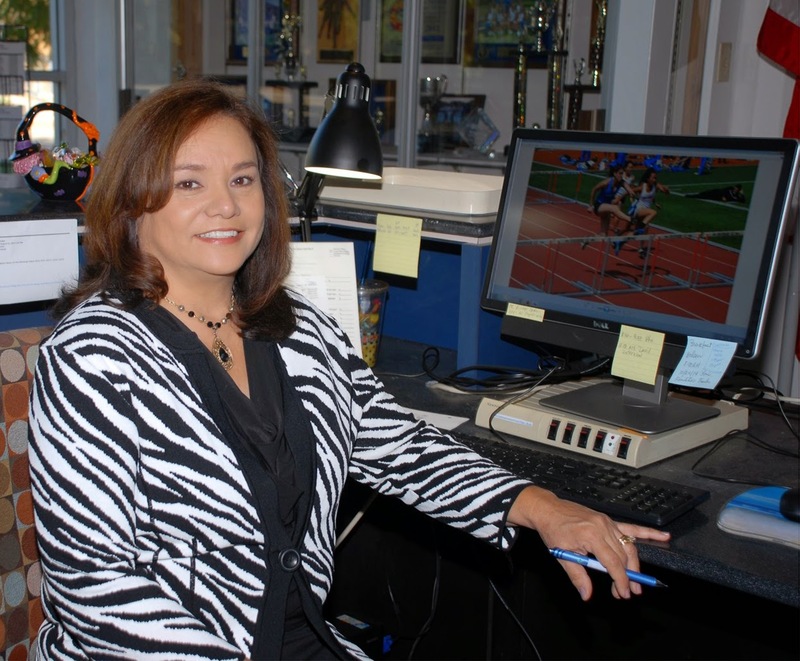 A San Diego native who has lived in East County almost all of her life, Trevino worked for Bank of America, General Dynamics and an off-road motorcycle firm before Cuyamaca College hired her in October of 2013 as its Business Services Specialist. In that position, the National University graduate with a bachelor’s degree in business administration was responsible for routing all business forms and contracts, along with making sure paperwork was properly completed and signed. The post also includes being the campus switchboard operator. A retired bank manager and a healthcare educator have been appointed to serve on the citizens’ committee charged with ensuring that revenues from two construction bonds for the Grossmont-Cuyamaca Community College District are spent as promised to voters. Sharon Bullard, who managed bank branches in East County for more than 15 years, was selected to serve on the district’s Citizen’s Bond Oversight Committee, along with Marlene Ruiz, director of Education and Consulting Services for Southern California Kaiser Permanente. Both appointments were approved by the district’s Governing Board Oct. 21. Board trustees also voted to extend the term of the oversight committee’s student member Zack Gianino, the Grossmont College student trustee.